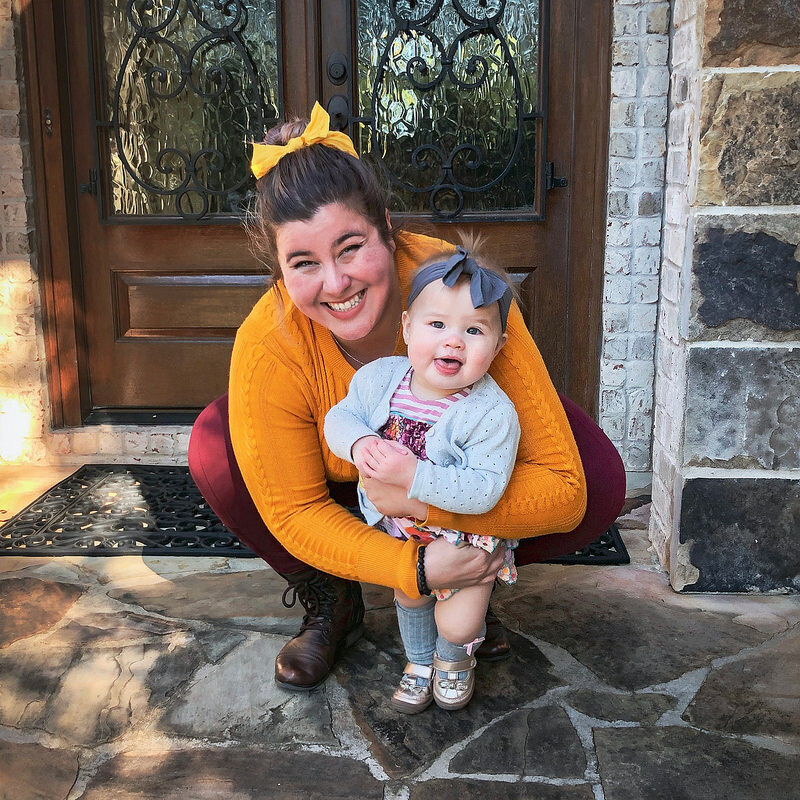 Sooooooo, I actually started this post as her three-week update, but as you can imagine, blogging has taken a bit of a backseat these days as my main priority is keeping my tiny human alive every day. And since she’s not actually four weeks until tomorrow, maybe we can look at it like I’m actually coming in early with this post… instead of almost a week late, yes? 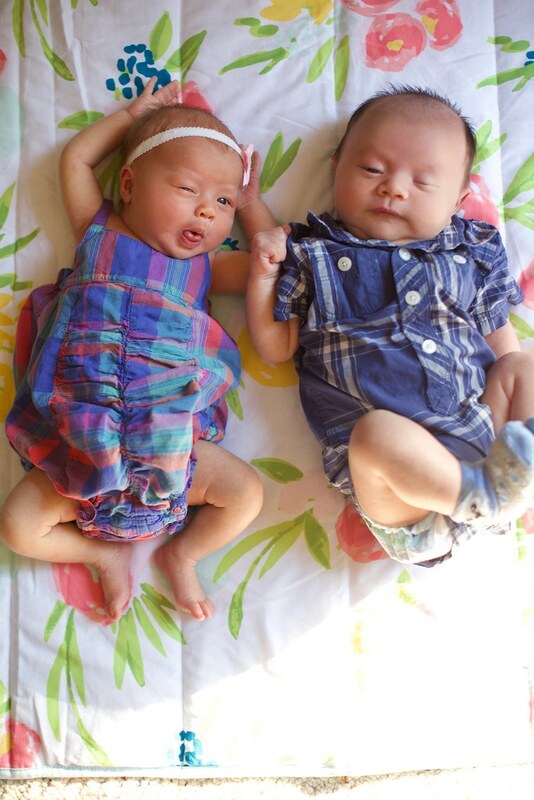 Either way you look at it, Penelope’s accomplished quite a lot in the first four weeks of her life! 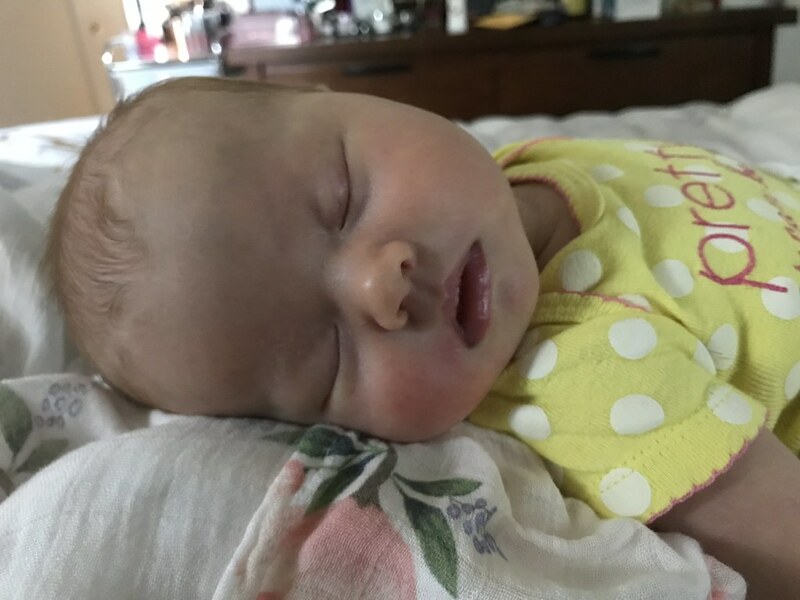 You guys already know about the drama surrounding her first few days, but thankfully her jaundice issues have since totally resolved, and things have been progressing pretty normally (as far as I’m aware) since. Whoo-hoo for normal! We looooove normal. …during the day, at least. We’ve dubbed her our little milk vampire, both for her nocturnal nature and her very strong latch, haha. 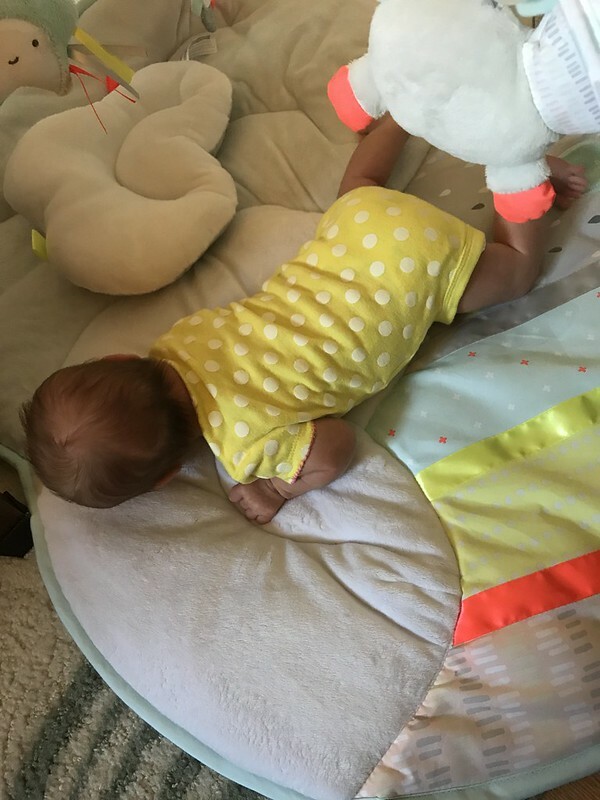 She’ll sleep pretty much all day long, save for a couple of stretches of being awake where we’re able to get in some tummy time or spend time talking to her. 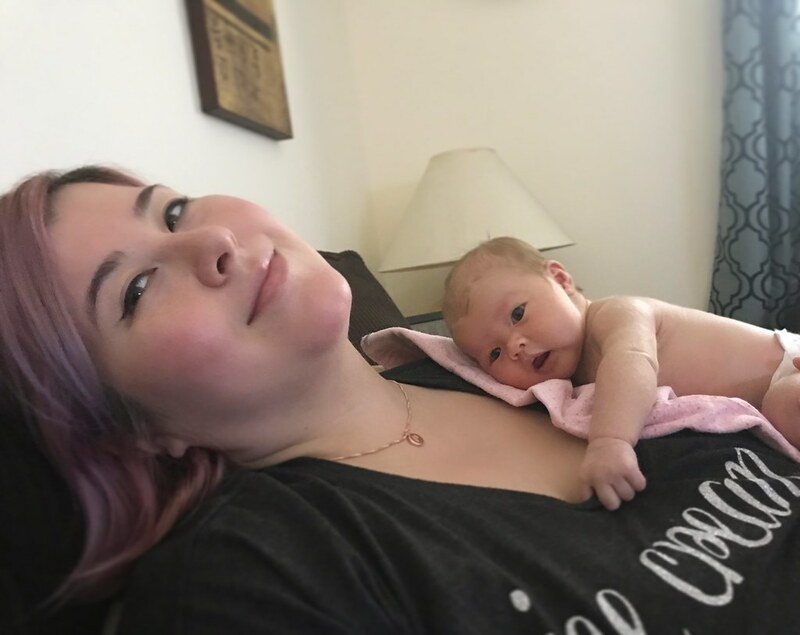 Her neck strength has been developing awesomely — she can legit hold her head up for what I consider a significant amount of time, especially when being burped over my shoulder or carried upright, and she’s a little tummy time champion. 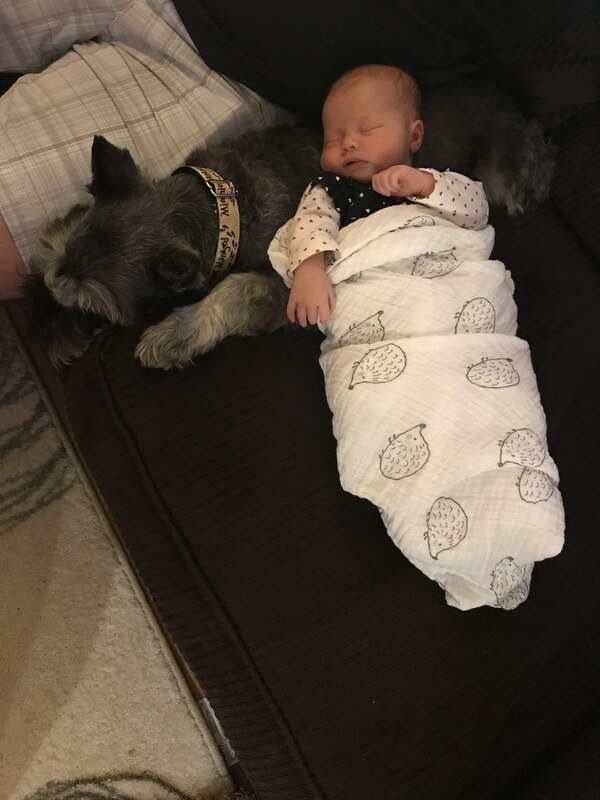 Nights are, unsurprisingly, kinda rough — as I imagine they tend to be with a newborn, for both new parents and seasoned parents alike. I think it’s a combination of the fact that she does sleep so much during the day (we are working on trying to get her to stay awake more during the day… it’s a work in progress, but she’s already getting a bit better), and just the fact that for me, being woken up out of a sleep at night to tend to her is very challenging. 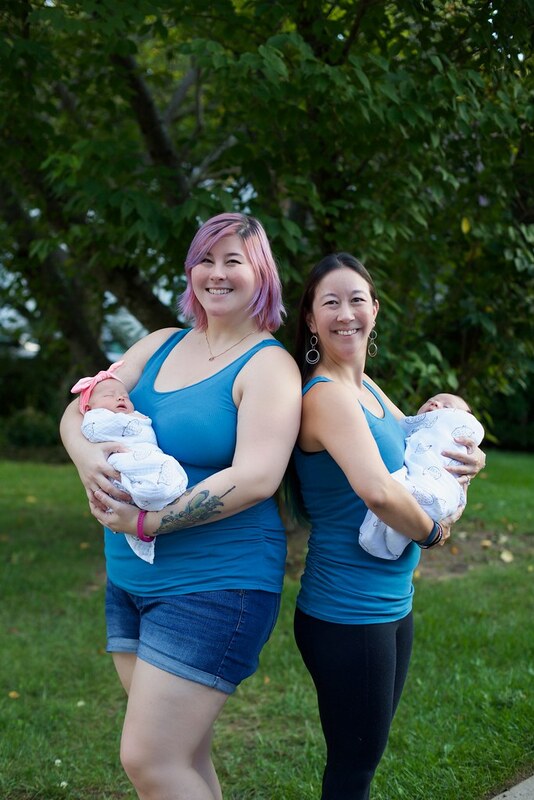 Having a newborn doesn’t really let you have days and nights in the traditional sense anymore — you’re basically just on a constant 24-hour cycle of sleeping, waking, and feeding. Which was all fine and dandy in the beginning while Sean was on paternity leave and our personal schedules didn’t really matter. But now that he’s back at work, I feel guilty waking him up in the middle of the night (even though he still tells me I should — he’s the best), and so it’s more isolating to be waking up every 2 hours to feed her, or dealing with her when she’ll just be awake for no reason from 1 to 4 AM. 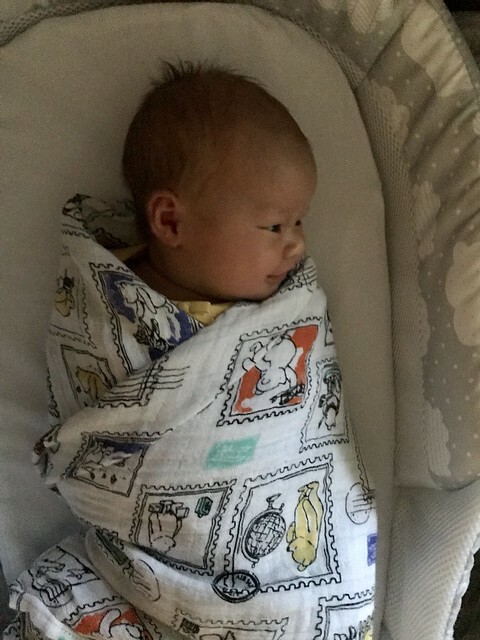 The main difficulty is that it’s so hard to get her to go to sleep, and especially stay asleep, in her bassinet. 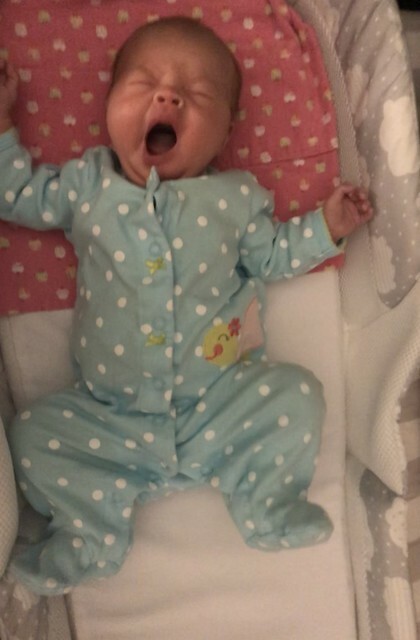 She’ll fall asleep during or after nursing pretty much every time, lol, but the second either Sean or I go to transfer her to her bassinet, she wakes up and cries. It seems to be bassinet-specific, too. 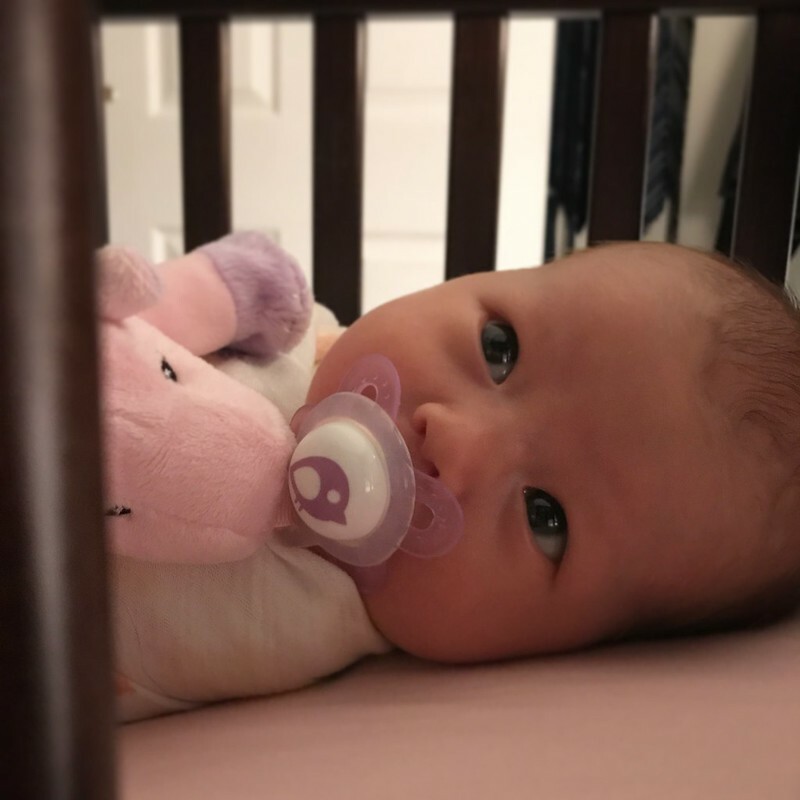 She’ll sleep away the hours in her Boppy lounger, or her Rock ‘n’ Play, or her Snuggle Nest napper in our bed, but the second her head touches her bassinet mattress? 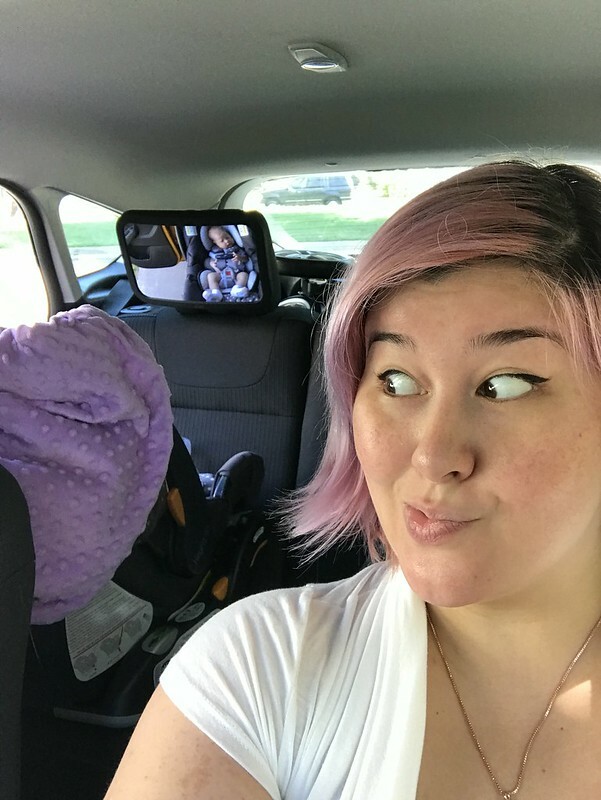 My tendency to be a bit of an alarmist + what I think is probably pretty common first-time mom anxiety also makes me super paranoid about SIDs, and therefore I try to be a stringent follower of safe-sleep practices: on her back, in our room but in a separate crib, pack ‘n’ play, or bassinet, no loose blankets, etc. 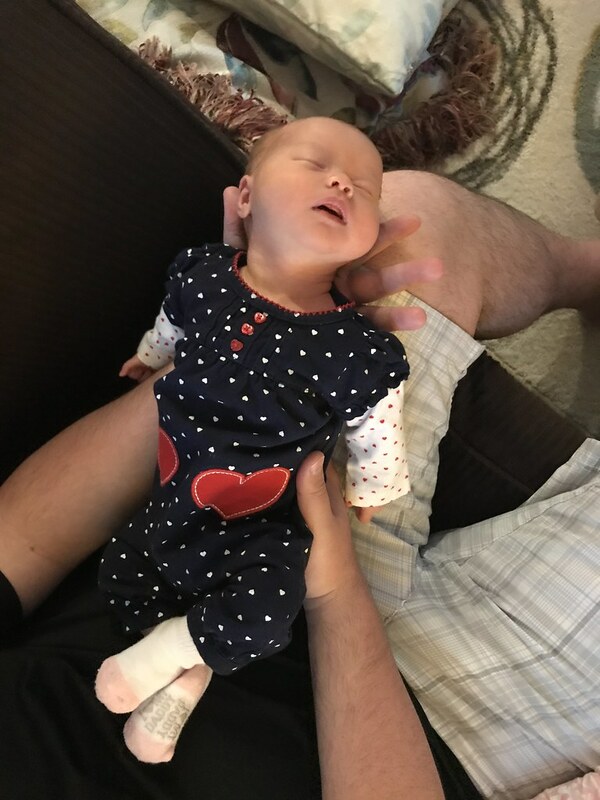 So while she’ll actually get pretty significant stretches of sleep — even at night! — in the aforementioned loungers and nappers, they aren’t approved for unsupervised/overnight sleeping (if we’re also sleeping = unsupervised). So basically my stellar solution right now is pretty much just not to sleep, lol. All the sleep that she manages to get, however, is clearly working n her favor. 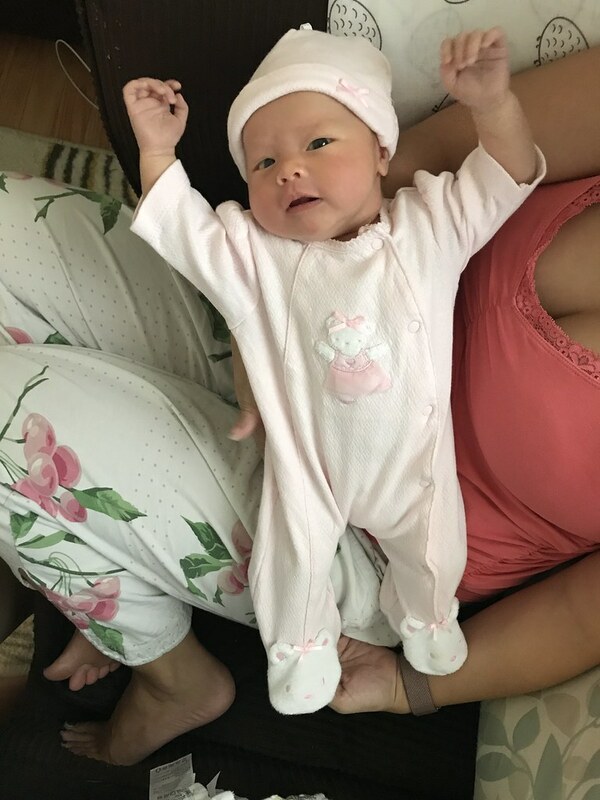 Penny is growing like a weed — at her 2 week doctor’s appointment, she measured in at seven pounds, ten ounces and 20.25″ long, and I’ve weighed her at home a couple times since (with my kitchen scale + a mixing bowl, heh) and last time I checked she was already eight and a half pounds! She’s really long, too — I haven’t been able to measure her length myself, but she’s definitely outgrown all her newborn clothing (as evidenced by the photo above, lol) and while most of the 0-3 and 3 month clothing I have for her is quite baggy around her middle, she’s already tall enough to fill them out length-wise (especially her footed sleepers!). 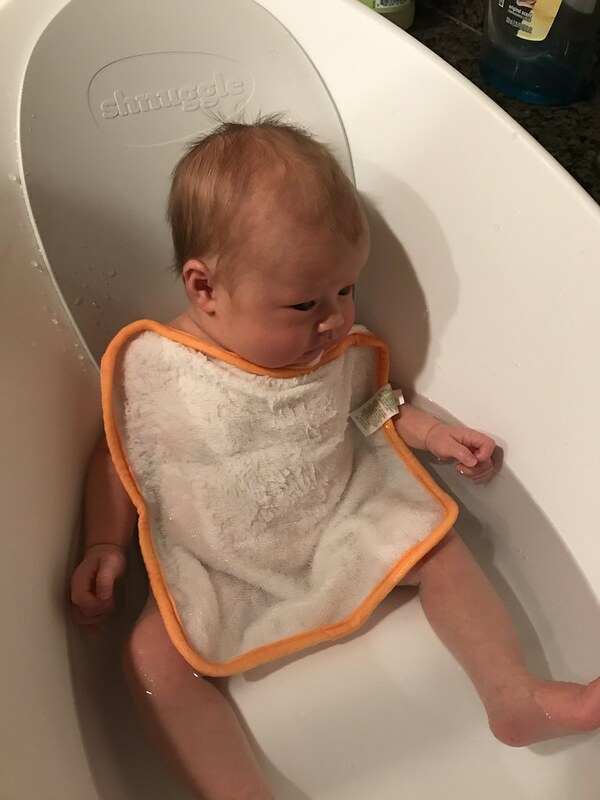 Some other exciting developments from the past few weeks include having her first real bath (and several subsequent ones) — she seems to really like being bathed, just not so much the part afterwards where she’s wet and cold, heh. I’ve also successfully managed to take her out of the house on my own a few times now — just for very short little errands really, but each time I successfully leave and return to the house with her intact, I feel pretty proud of myself. 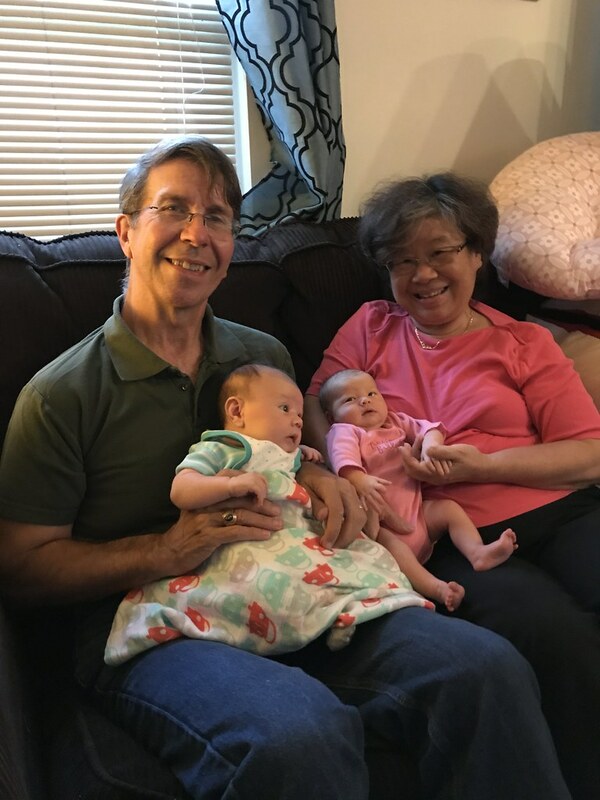 A big highlight of the past couple of weeks was my sister coming into town with my nephew Alex — he’s only 3.5 weeks older than Penny! 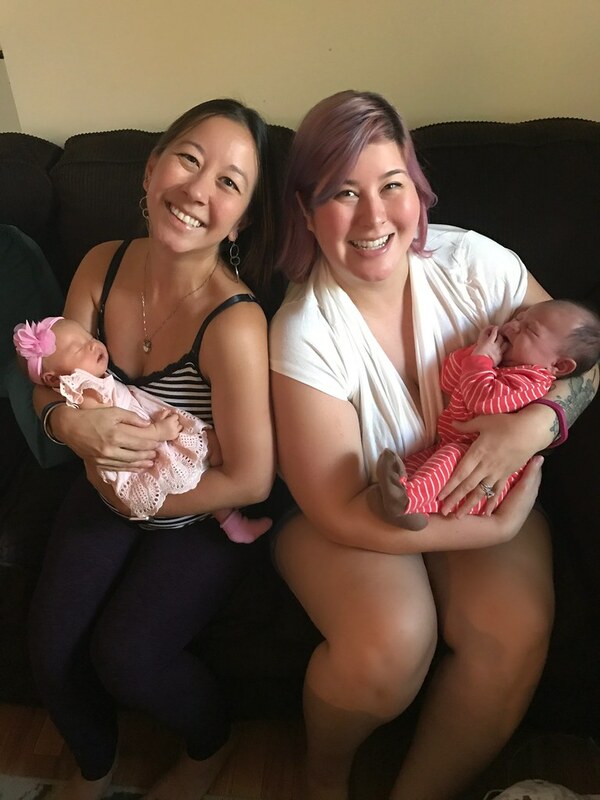 It was so great going through our pregnancies together (even though Alex is Jenny’s third child, so our outlooks and perspectives are just a smiiiidge different, heh), and having a partner during this newborn stage has been crucial as well. 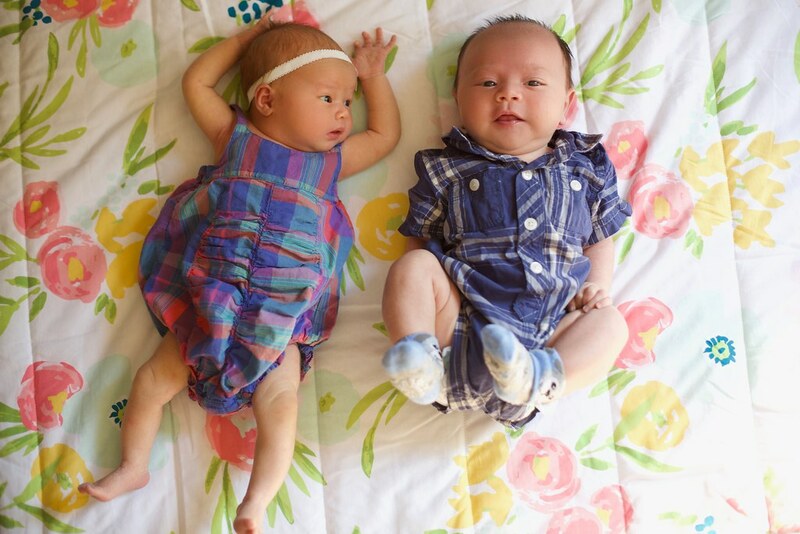 Naturally, we had to have a photoshoot to commemorate getting these two together. I can’t wait ’til they’re old enough to actually play with one another! 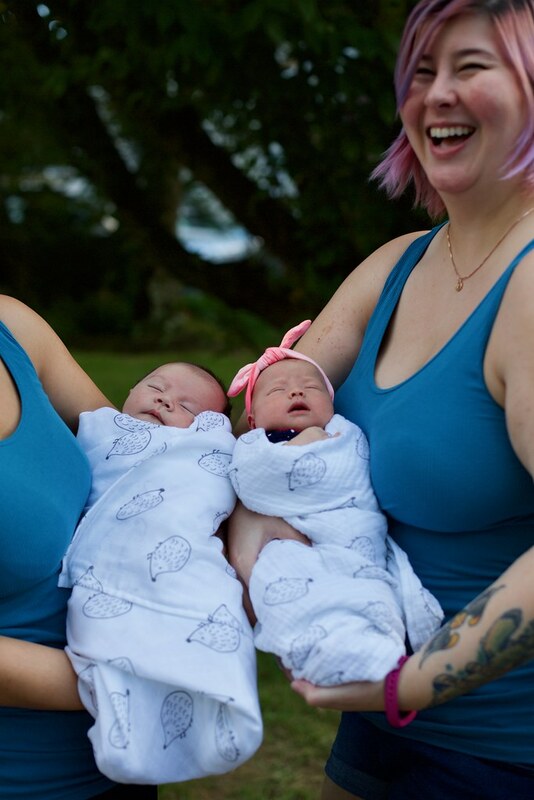 We tried to do a little shoot of the babes on their own, too, but funny thing — turns out thgat getting good shots of two newborns at the same time… not so easy! Newborn photographers, you have my respect and sympathy. 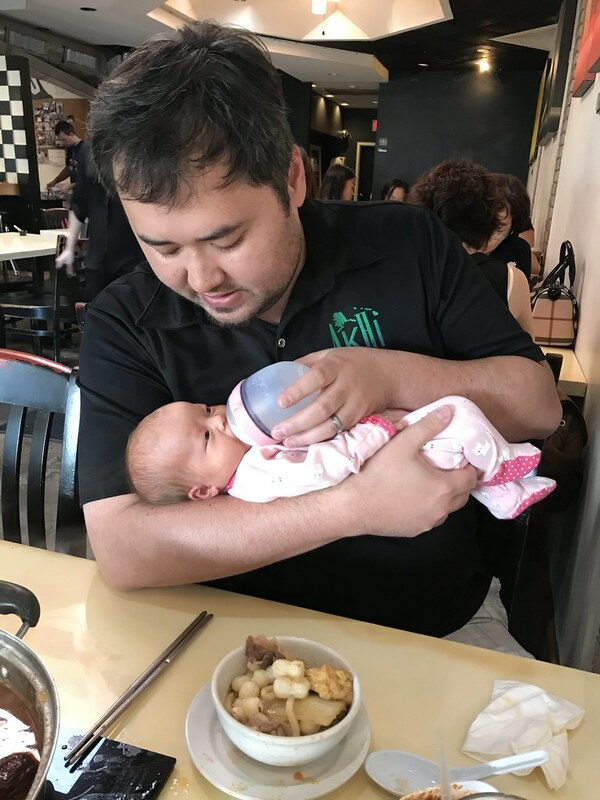 I also had my first nursing-in-public experience when my sister and I went out to lunch – I used a cover and was pleased that Penny was willing and able and willing to nurse under it (I’ve heard some babies hate doing so! ), but it was hot as balls under there so maybe one day I’ll be comfortable enough to try nursing without it, lol. The other couple times we’ve taken her out with us to a restaurant, I brought a bottle of pumped milk for her instead. So yeah! Things are generally running pretty smoothly so far! We’ve almost made it an entire month, which only goes to show how insanely fast time is flying! It seriously feels like I was just in the hospital. 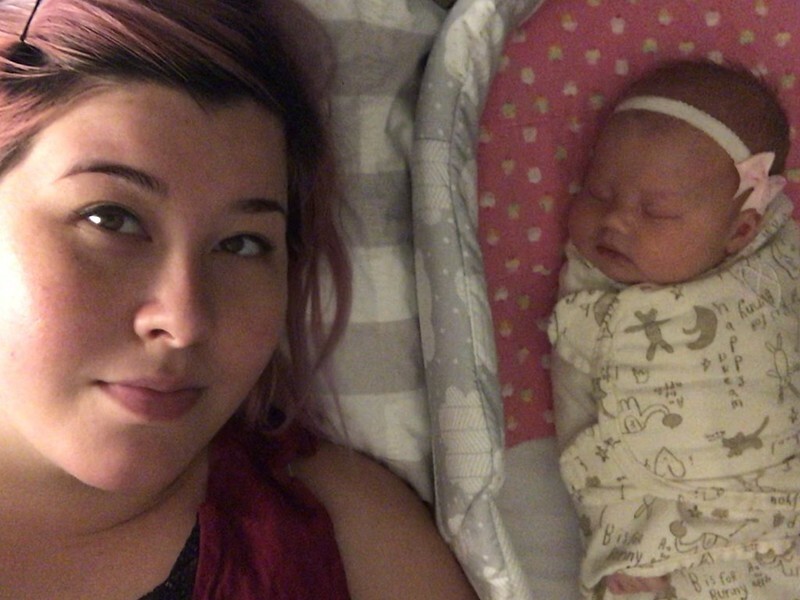 I feel very blessed that things have been going well, and despite all my complaints about nighttime and sleeping, all of that really has more to do with my issues, and I do recognize that she’s really a pretty easy baby. 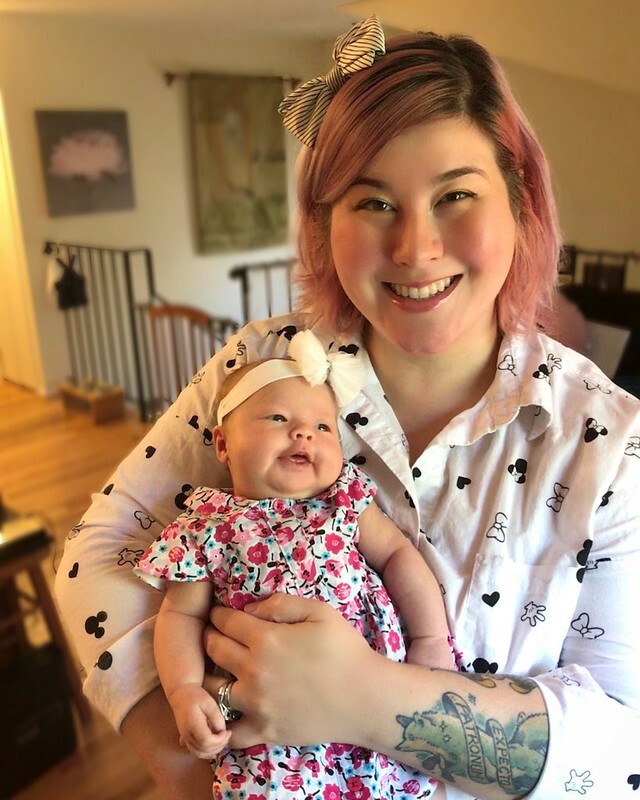 She isn’t colicky, doesn’t really fuss too much, barely ever spits up, has no issues with eating yet, is developing and growing well… is basically a little baby rockstar! Best of all, she doesn’t seem to mind getting dressed up! (Not yet, least!) She doesn’t even cry out when her onesies go over her head and face, which brings the stage mom in me endless joy. Here’s to the next few weeks of life, and many more firsts, with this awesome baby girl!